IDW Games Booth #158 is excited to be attending Gen Con 2018 with new game demos, previews, releases and designer meet-ups, this year is packed with a lot of exciting board games from IDW! At Booth #158, IDW Games will be demoing exciting games and previews from our upcoming product line. To kick it off, we teased about Teenage Mutant Ninja Turtles Adventures during our San Diego Comic-Con International panel and we are looking forward to sharing an early look at this upcoming miniatures game. Designers Daniel Lansdown and Pete Walsh will be showing off the first preview of TMNT Adventures, the highly anticipated miniatures game in the Teenage Mutant Ninja Turtles universe. 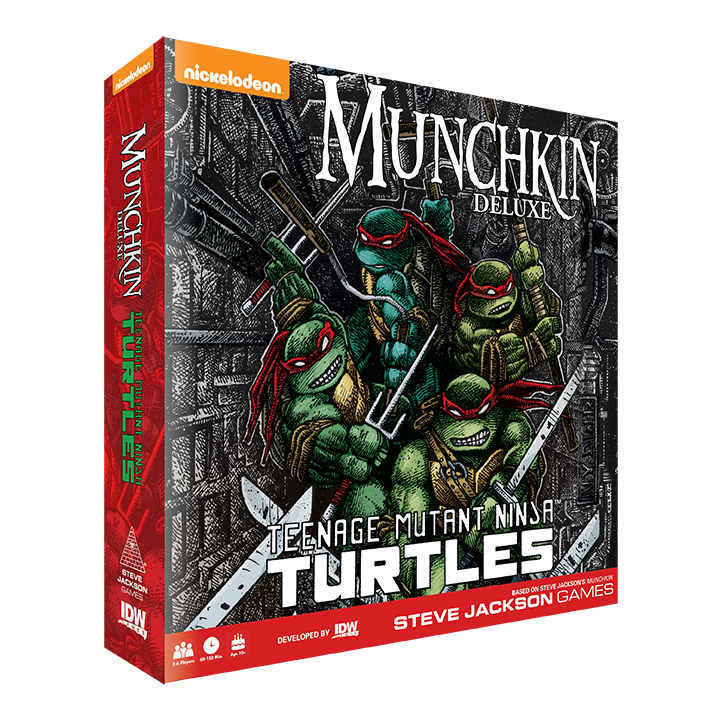 We will also be demoing Munchkin: Teenage Mutant Ninja Turtles, designed by Jon Cohn and featuring all new art from Kevin Eastman, which ran a successful Kickstarter earlier this year and will be shipping to backers very soon! 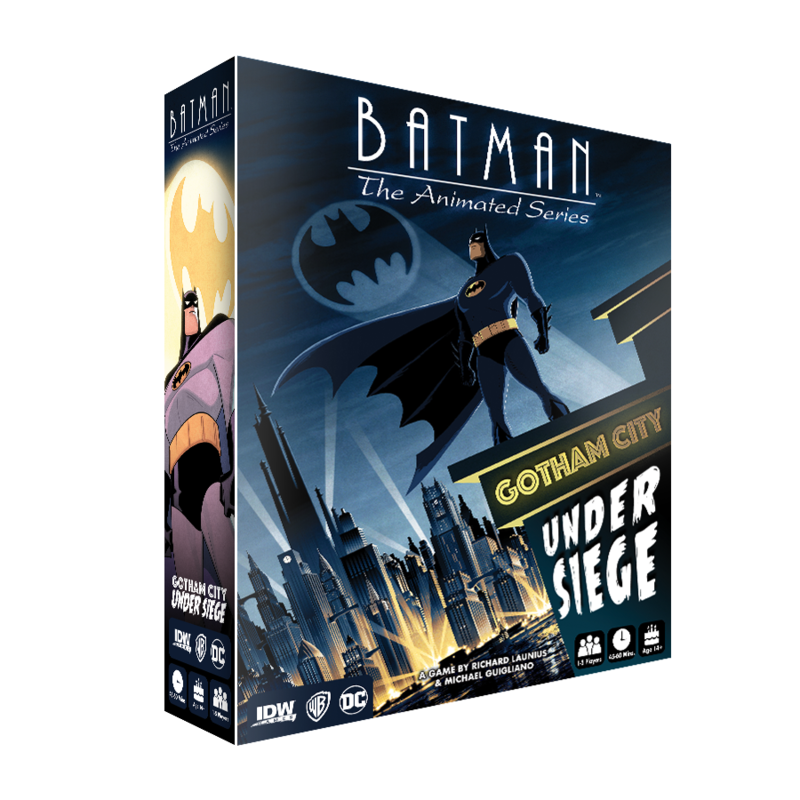 Adding to the lineup of exciting demos, Gen Con attendees will also have a chance to play Batman: The Animated Series: Gotham City Under Siege, which was first previewed at San Diego Comic-Con International and now making its way to Gen Con! This dice-allocation, threat management game based on Batman: The Animated Series, will be coming to stores in late August, but will be shown off at Gen Con. With over 100 pieces of new art and co-designed by Richard Launius and Michael Guigliano, this co-op game is a wonderful addition to game night for board game and Batman fans alike. Come by each day the IDW Games Booth #158 to play a demo of Batman: The Animated Series – Gotham City Under Siege! New games will be available at the IDW Games Booth #158 this year too! 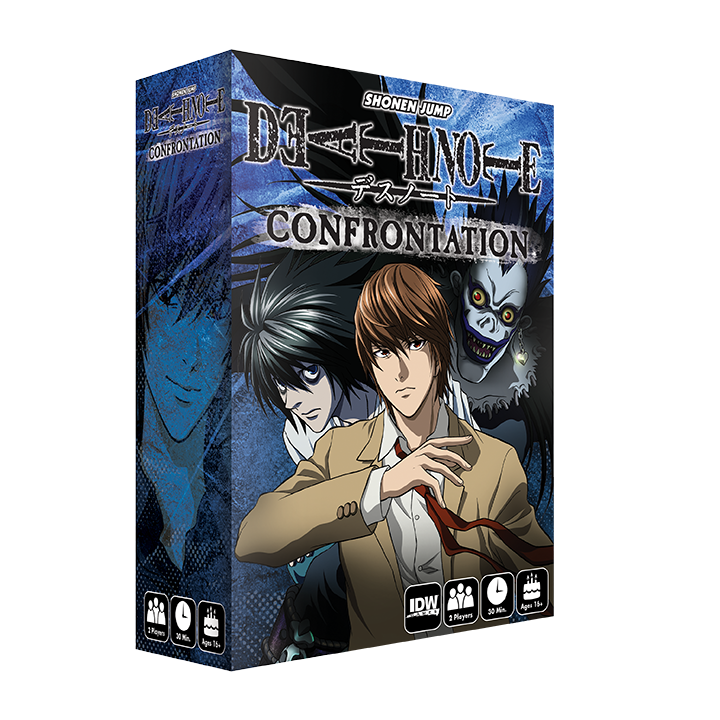 For the first time, Death Note: Confrontation from designers Jordan & Mandy Goddard, will be available. This head to head game puts players in the roles of Kira and L as they face off in this hidden movement, detective game based on the popular anime series Death Note. Edgar Allan Poe’s Masque of the Red Death, designed by Adam Wyse and fully illustrated by Gris Grimly will also be making its first convention appearance. This successful Kickstarter which is delivering to backers right now, will be available at Gen Con. Additionally, a selection of IDW’s top games will be available, games such as The Legend of Korra: Pro-bending Arena, Seikatsu, The X-Files: Conspiracy Theory, the Outpost series and more! Along with these games available at the booth, there will also be an early look at upcoming games and products from IDW Games!